The beautiful Siberian Husky is a very intelligent and has a reputation for getting into trouble when the opportunity permits them to. They can also be very clever and sometimes independent as well. This breed adores running and playing outdoors and also can be on the stubborn side. They will challenge a dog they are unfamiliar with and can be on the aggressive side with other animals. Usually they are known for being very social animals and some, not all of them, have a tendency to howl in the evenings and enjoying chewing or digging. Chasing cats is an activity they thoroughly enjoy and they also chase farm animals when given the open space to do so. They are very quick and powerful canines making them great sprinters for long distances. 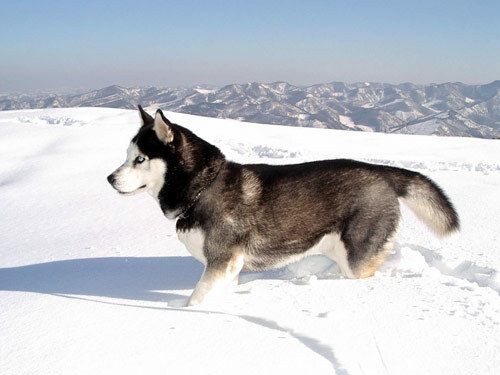 As canines that enjoy running and being very active, the Siberian Husky is a dog that loves to exercise. They will require exercise that is much more of a requirement than it is for other breeds. Normally, a dog will be pleased with a simple short walk on a leash through their own neighborhood. The Siberian Husky is not one of those dogs. They will need to reside with a jogger or someone that can provide the time to allow their Husky to roam and run around in a large open area everyday. They adore pulling and can easily adapt to any cold climate. They bode a very thick fur coat that will tended to, on a weekly basis until the shedding months begin and more during the week during those weeks. This breed has a lot of endurance making them the perfect companion for someone that is fairly active as well. They can be mischievous so be sure to have them trained while they are still young pups. The Siberian Husky does not bode many major health concerns and they are fairly simple dogs to care for. They have been known to contract issues associated with PRA, cataracts, overactive thyroid glands and corneal dystrophy. In rare occasions, they can be associated with CHD, which can be fairly common in some other breeds. Some vets will recommend that they are tested for hip issues as they progress in age, eye sight difficulties and hip troubles as well. Average lifespan of a Husky is between eleven years and thirteen years long. Deriving from Russia in Ancient Times, the Siberian Husky was well known as a companion in the frigid climates with their nomad owners. A vital element to the Alaskan Gold Rush, they were a favorite for do racing as a way to pass the time. In the early 1900's, the Siberian Huskies placed very well in dog races and began to gain popularity in the United States. Recognized by the AKC in 1930, they were also utilized in the military in World War II alongside missions with the search and rescue teams. Currently, they are still a highly desired breed for family pets and for sled racing and pulling as well.